How to correct your marriage license? Looking for a copy of your marriage license? A marriage license is what authorizes you to get married. Maryland law requires a marriage license from the Clerk’s Office of the Circuit Court where the marriage will take place. Once the license is issued, it is valid for 6 months from the date the license is issued. Where? A marriage license must be obtained from the clerk of Circuit Court for the county, or Baltimore City, where the marriage will be performed, regardless of the residency of the couple. For example, if you are residents of Anne Arundel County, but are getting married in Montgomery County, you will need to obtain a marriage license from the Clerk of Montgomery County Circuit Court. Who? Either party may apply for a license in person at the clerk’s office. If either party has been married previously, the clerk must be told the date (day, month, year) and place of the former spouse’s death or of any annulment or divorce decree. If you have any questions, contact the License Department or Clerk’s Office of the Circuit Court in the county where the marriage will be performed. 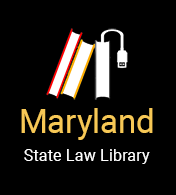 A directory of courts is available on the Maryland Courts website. If the parties are not living in the county where the marriage ceremony is to take place, the clerk must accept an affidavit (written statement confirmed by oath or affirmation) instead of an application, from one of the parties to be married, with the same information required by the application, and sworn under oath by a clerk or other official in the county where the party lives. Maryland has no legal requirement for a blood test or other medical examination. Waiting Period? The marriage license is not effective until 6 a.m. on the second day following the day that the license was issued. During the waiting period, no marriage ceremony may be held unless special permission is given by a judge (usually for reasons of military service or pregnancy). Depending on the county, the marriage license fee may be discounted if the couple getting married completes a premarital preparation course. The course must meet certain requirements and be completed within one year before the marriage license application date. A marriage license merely authorizes the performance of the marriage. It does not determine how a ceremony is to be conducted or interfere with the rules and customs of any religious group. After the ceremony, the person who performed the ceremony returns the certificate of marriage, signed with the title of the authorized official who performs the marriage, to the clerk of the court issuing the license within 5 days to be recorded in the county or city records. Remember, this certificate of marriage was included with the marriage license. A marriage that does not comply with the rules listed above is considered unlawful. The fact that a marriage is considered unlawful does not automatically mean that the marriage is invalid (or “void”). For example, although a person who performs a marriage ceremony for a couple without a license may be fined, the marriage itself is valid. The procedure will vary depending on whether the marriage ceremony has taken place. In addition, the procedures may vary depending on the county. Before the marriage ceremony: Contact the Clerk’s Office in the Circuit Court that issued the marriage license for information. A directory of courts is available on the Maryland Courts website. After the marriage ceremony: You may need to file a petition with the court to correct a marriage record, including license and application. The exact procedure may vary depending on the court, and courts fees may apply. If you need a certified copy of your marriage license or marriage certificate, contact the Clerk’s Office of the Circuit Court that issued the marriage license. The court may impose restrictions on who can be issued a certified copy and fees may apply. If you do not need a certified copy of your marriage license, then you may be able to locate an unofficial copy of your marriage license from the following resources. Remember, your marriage license is not the same thing as your marriage certificate. The marriage license is what authorizes you to get married. The marriage certificate is what proves that you are married. This article talks about marriages that take place in the state of Maryland. If you are a Maryland resident, but getting married in another state, you will want to review the laws of that state. If you are getting married in another country, this page from the U.S. Department of State may be helpful. You may be able to record your out-of-state or out-of-country marriage in Maryland. Contact your county’s license department or Clerk’s Office for more information. Updated by Web Services Librarian.